Sleep dentistry – A safe and effective method, used to provide a relaxing and anxiety-free experience for the patients receiving dental treatment. A comfortable and relaxed way to get dental services. A Beautiful smile can be your secret weapon. Sleep dentistry is used to provide a relaxing and anxiety-free experience for the patients receiving dental treatment. It enables individuals who are too afraid to visit a dentist to receive the dental care while avoiding the common apprehension known as dental phobia. We specialize in providing sleep dentistry service for nervous patients, including IV sedation, laughing gas and oral dental sedation across the castle hill, kellyville or anywhere in Sydney NSW. WHAT CAN SLEEP DENTISTRY DO FOR YOU? 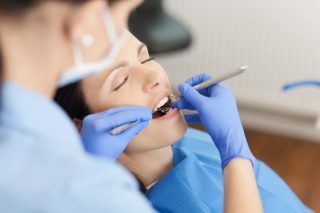 Sleep Dentistry eliminates the awareness, sights, sounds, smells, tastes and pain of needles, instruments and drilling. It also eliminates the boredom of long or complex sessions and enables you to relax. Sleep Dentistry eliminates fears, anxiety and discomfort. Sleep Dentistry enables busy people to have multiple procedures and long sessions done in a single sitting. Sleep Dentistry allows your dental procedures to be more comfortable than you ever thought possible. Sleep Dentistry enables you to receive the dental care you need.